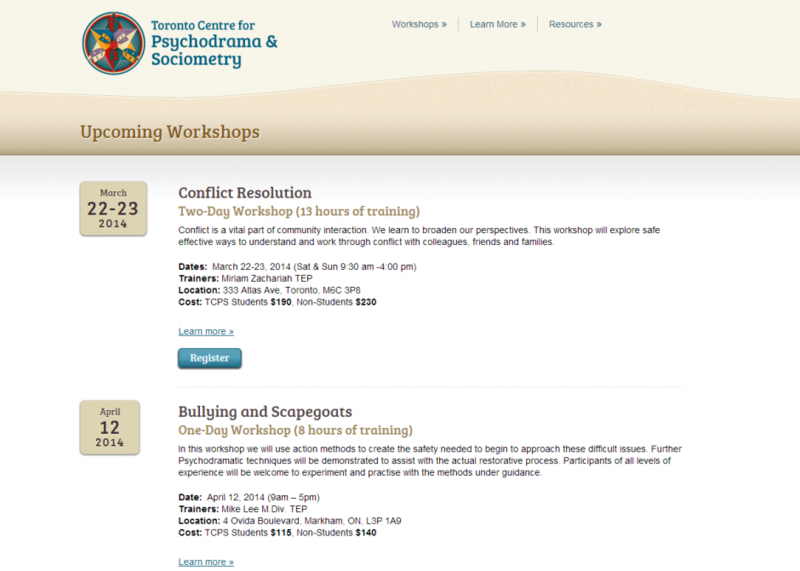 The Toronto Centre for Psychodrama & Sociometry is an organization which uses drama and theatre as an integral part of therapy dealing with a variety of traumas of differing severity. After years of not having a website to fulfill their needs and create a new growth and interest in Psychodrama in Toronto, Think Up! 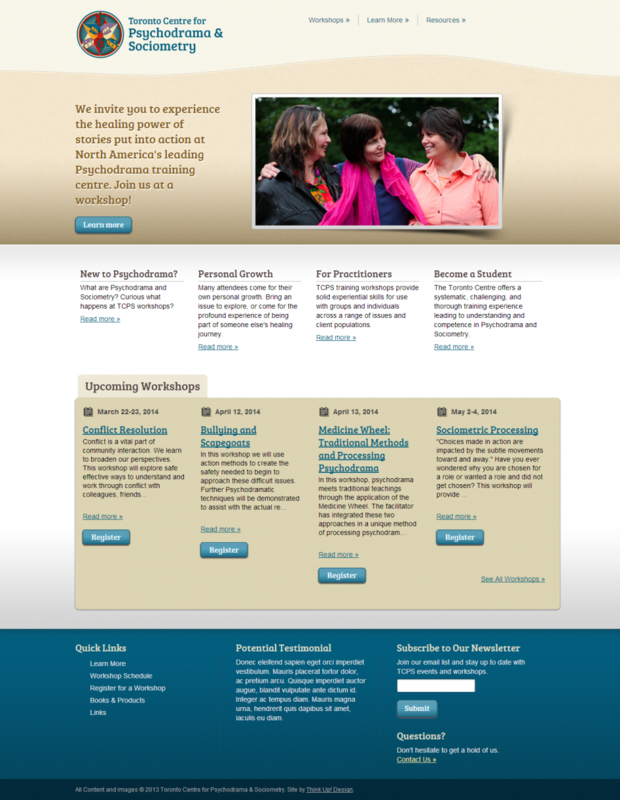 was hired to re-design an inspiring, comfortable and professional website for TCPS. 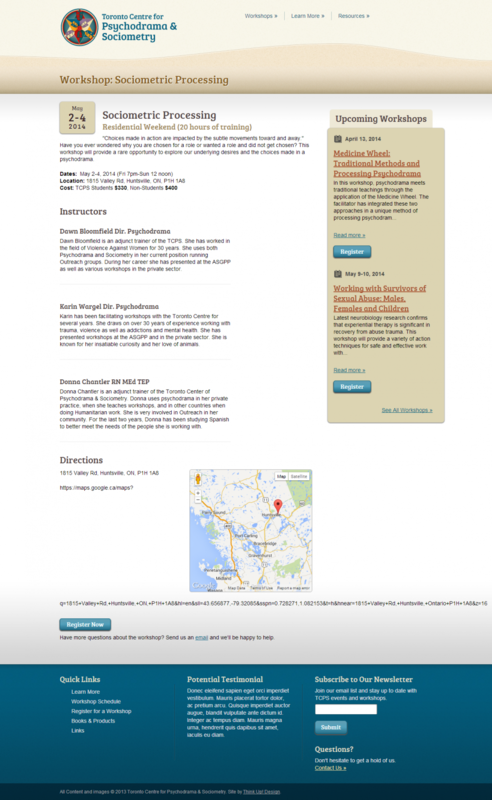 After the final design was approved, 9 unique HTML5 templates were hand coded and styled with contemporary CSS3. These were then passed on to the volunteer developer with TCPS for implementation into the custom CMS.